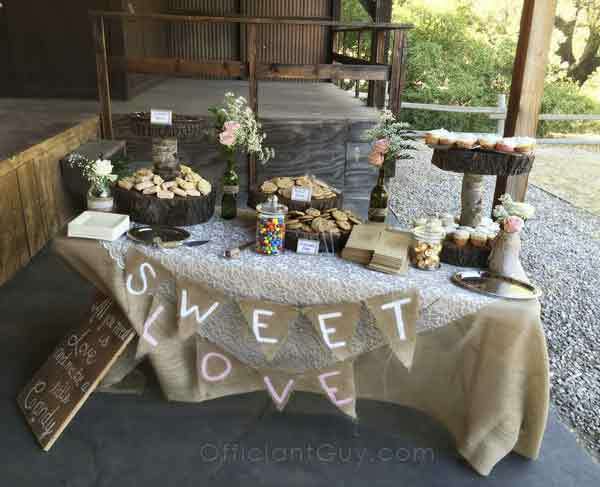 If you are getting married in Los Angeles and would like a unique wedding location, then you probably should consider the Paramount Ranch- Western Town in Agoura Hills, CA. 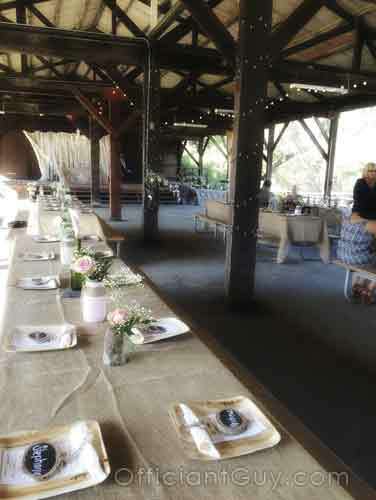 It’s a rustic wedding location that is rare in Los Angeles. 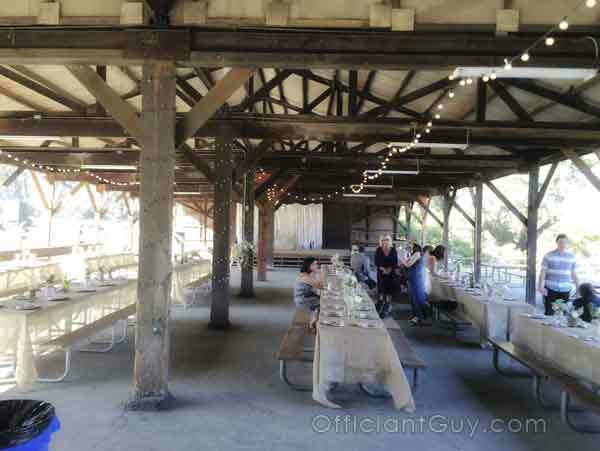 I’ve been a wedding officiant there, and it will get your guests talking about a great wedding venue. It’s very charming and gives you a bit of Los Angeles history. Agoura Hills is located between Calabasas and Thousands Oaks, and Malibu to the south, in a very beautiful setting with rolling hills and lush forests in the winter and spring and chaparral in the summer. 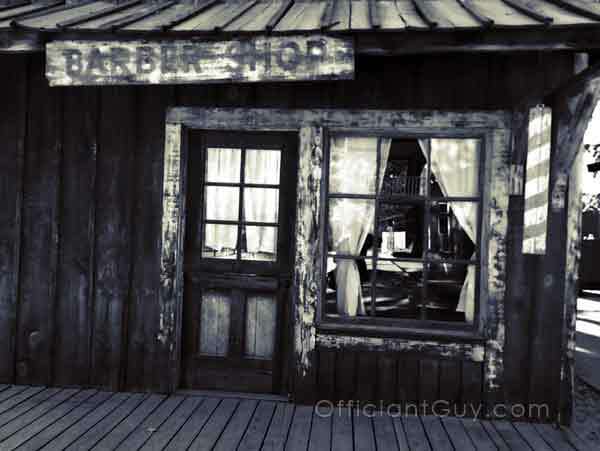 Paramount Ranch is like stepping back onto a TV or Western movie set. 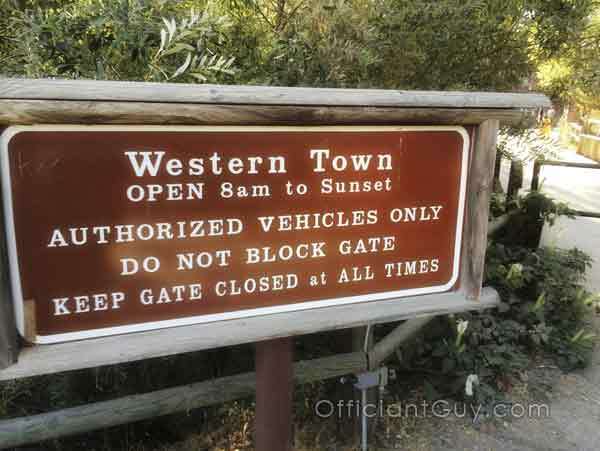 There’s a little western town that’s very quaint, and it’s been used in countless TV shows and movies for shows such as “Dr. Quinn Medicine Woman”. Two thousand and seven hundred acres were purchased by Paramount Pictures in 1927. 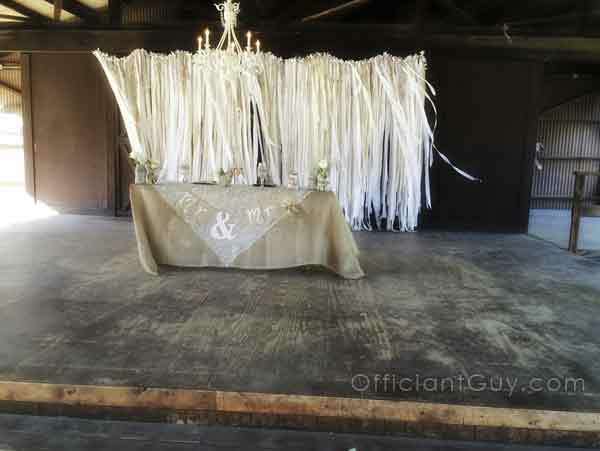 It was sold in 1957 and now exists for movie and TV locations as well as the lucky bride and groom who choose to be married in this unique wedding venue. I didn’t know what to expect before I arrived, but it was very enchanting with a perfectly preserved Western town. 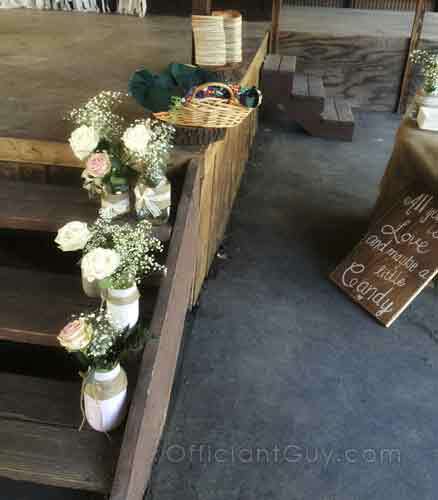 The ceremonies have a picaresque backdrop of the Santa Monica mountains and the reception area is a covered area in a quaint area. You feel like you’re stepping back in time. It’s just not facades, but it’s entire buildings. 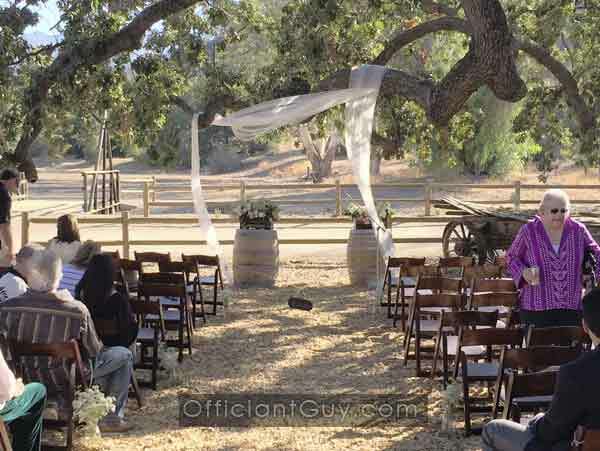 Consider Paramount Ranch as your LA wedding venue and please consider me as your officiant. 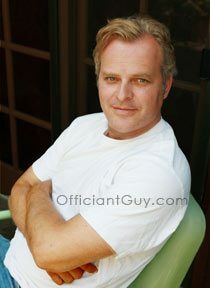 I have been a wedding officiant for over twenty years and can bring you a California confidential marriage license to make your wedding day very easy. 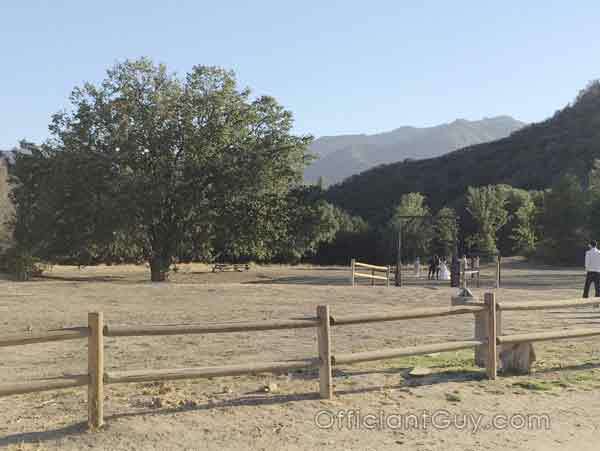 The Paramount Ranch is part of the National Park Service and it is priced based on many factors. 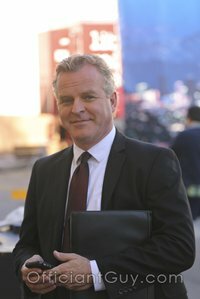 Visit https://www.nps.gov/samo/planyourvisit/paramountranch.htm to find out more.